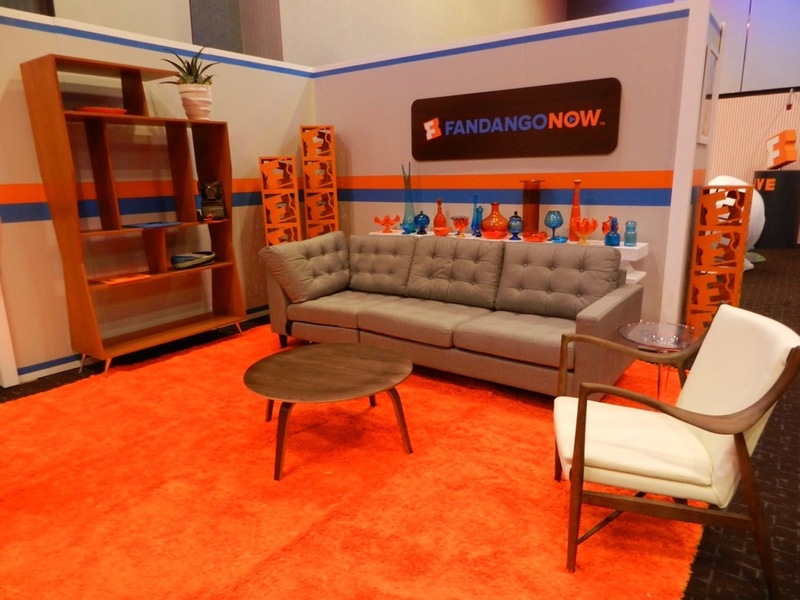 At previous Comic Cons Fandango has had a space where they film interviews with actors about upcoming movies. For this year’s set, Reaction Marketing asked us to fabricate structural walls that would fit with the feel and colors of the Fandango logo. We made striped walls as well as custom logo wallpaper. Other elements included a custom bar & back bar, logo columns, and Fandango signs. We also fabricated a rotating base with the Fandango logo complete with a blinking recording light.